-No bathroom, Washroom warm water bidet. 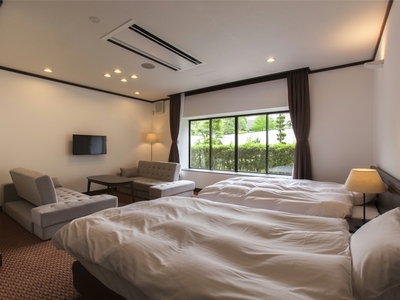 The large guest room has a calm veranda faces abundant greenery filled with beautiful landscaping. 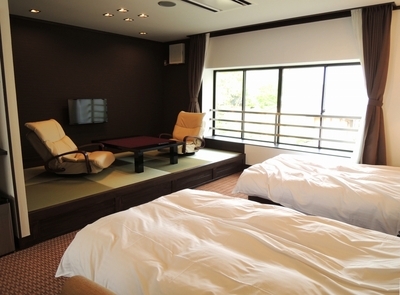 Guests can expect to have a satisfactory and relaxing stay. Twin Room ( First floor ) With restroom, washroom .No smoking. Log house (entire cottage) .No smoking. 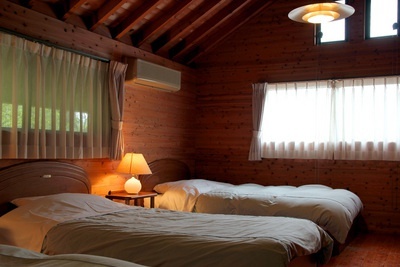 There are four comfortable log house cottages called “Shizen-no-Sato” with spacious open-kitchen, living room, bedroom and Japanese style rooms. Full equipment including wood deck will make your stay comfortable and charming. 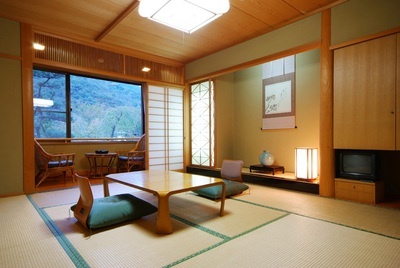 -Guest room: One Japanese style, One wester style. -Kitchen: cooking devices, microwave, rice cooker, plates and utensils.